Happy New Year everyone! 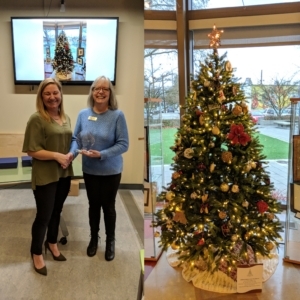 We kicked off our events this year by wrapping up our 6th Annual Christmas Tree Festival with our awards ceremony! 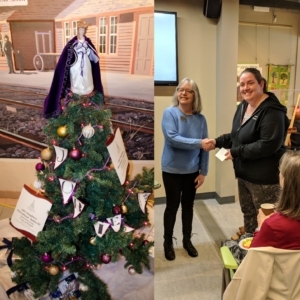 Thank you to everyone who participated in the Christmas Tree Festival this year, and to everyone who took the time to do our Scavenger Hunt and to vote for their favourite trees! After all the votes were tallied up, here are the winners! 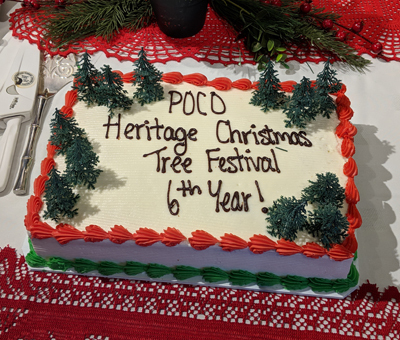 First Place has been awarded to PoCo Genealogy and their “Packing Your Trunk” themed tree! Second Place was awarded to Job’s daughters International – Bethel 63. Third Place was awarded to Art Focus Artists Association. First Place was awarded to Meyer Frers Chartered Professional Accountants! Second Place was awarded to Astoria Retirement Residence. Third Place was awarded to Mayfair Terrace Retirement Residence. 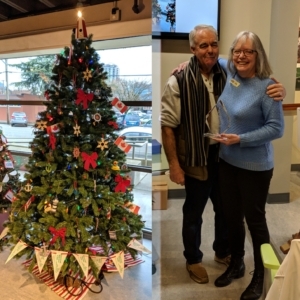 A big thank you to our judges this year – Candrina Bailey, Executive Director for the Coquitlam Heritage Society and Jim Miller, Executive Director of the Port Moody Station Museum! 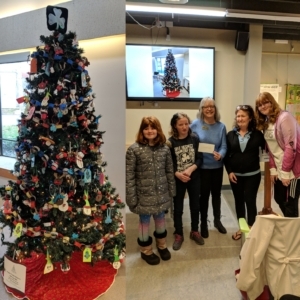 In the Judged – Community category the Hyde Creek District Guides came out on top! In the Judged – Business category, Forrest Marine Ltd. was voted best in show! 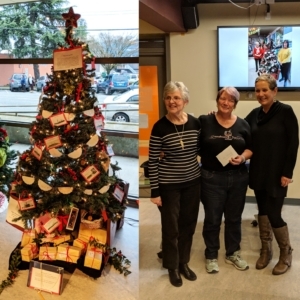 Congratulations to all the Christmas tree winners! We hope you enjoy your beautiful festival trophies, which have been sponsored by the Trophy Centre, Wilson Pharmacy, Western Sky Books, Councillor Dean Washington, Sandra Craig, and Linda Sliworsky. 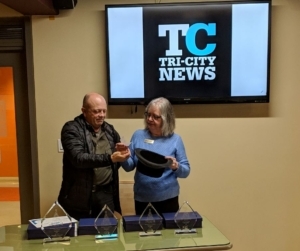 Our grand prize draw random draw for the $750 advertising prize, donated by Tri-City News, was won by Shaughnessy Veterinary Hospital! Congratulations! 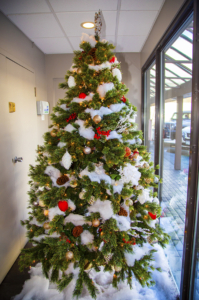 Our Christmas Tree Festival Scavenger Hunt is now also at a close. Thank you to everyone who participated! 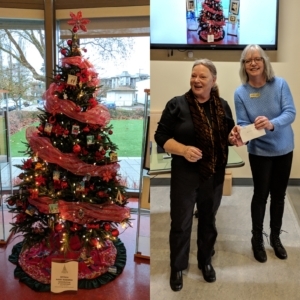 The winners will be contacted next week to pick up their prizes, which have been donated by 4 Cats Art Studio Shaughnessy, PoCo Bowl, and many generous community donors. Thank you! We would also like to thank Earls Kitchen + Bar for donating a Rib Dinner for Four for our holiday fundraiser auction. 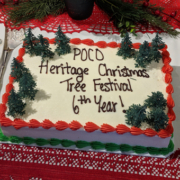 A huge thank you from everyone at PoCo Heritage to everyone who has participated in and supported our annual Christmas Tree Festival! You have all made this festival a true community success, and we appreciate all of your engagement through the years.